alive.I look forward to being connected. Oliver famously penned the line: "What is it you plan to do with your one wild and precious life?" That sounds like a great idea.Thank you ,Sandra! 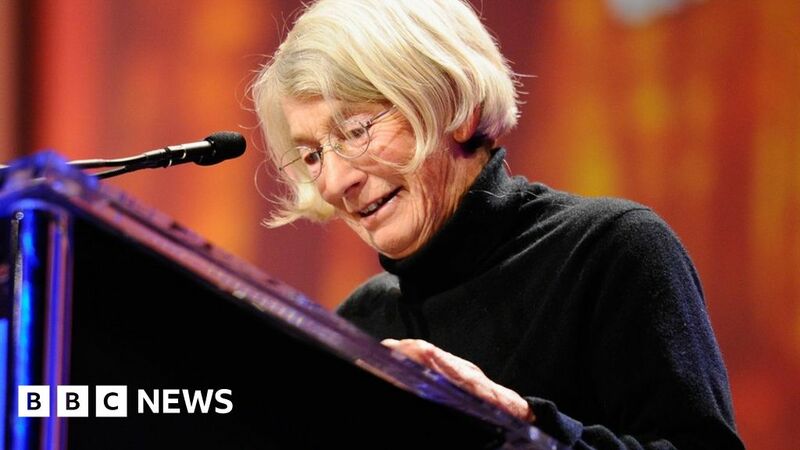 Really sad to here of Mary Oliver’s passing. Loved her poem Wild Geese. I would also like to be informed about mindfulness and the healthcare field. How are you Pawan, welcome to the group.Lisa. Good. Took a while re-adjusting from the slow pace back to normal. Thank you Francesca, hope all’s well in Monteray! Hope it will save some of you time in going ahead with this work. Hey Lisa! Thanks so much for posting! For some reason when I click on the link it says I don’t have permission to view this - did you have to request permission to get to this? Hi Lisa, I wasn’t able to open the link to view the Intro plan? Hi Kelli, you have to scroll down to the end of the exchange between Ted and Gretchen and he posts the entire plan there.I could email you the plan if you email me directly. Hi Kelli,how about you contact me directly through emails from Erik’s fundamentals list.I have yet to learn how the community access to topics works.All thr best,Lisa. I need some help in addressing an avalanche of articles on burnout in physicians without consensus of how to deal with it. Now there is a new twist from burnout to moral injury and who is to blame: the system or individuals. I respectfully disagree with the above message. I realize that my single experience of healing wouldn’t be sufficient to suggest the practice to the anesthesia society. I wonder if there are statistics of MBSR benefits in healthcare professionals as I need solid facts to be able to persuade members of anesthesia society to give MBSR a chance. Hope to see some of you in April, Lisa. Hi Lisa–thanks for raising this issue and for offering your experience. I too came to MBSR in 1998 as a practicing Neurologist that was ‘burning out.’ And it helped me for sure. I repeated the MBSR in 2002 as I had stopped practicing mindfulness and things got worse again. I retired from practicing in 2006 and have been teaching MBSR and other mindfulness programs since 2009. This includes at the 2 local Med Schools, at one of which we ran research programs delivering modified MBSR protocol (less time commitment) for Residents, Fellows, and Faculty. And then another program for MD-MPH students. I can share my insights on these projects with you, but as these were completed recently, no data as yet…other than to point out a high drop out rate. As you know, MBSR is a significant time and effort commitment, not every physician will be able to commit to what is asked. The GMC state that personal development and career success require “emotional regulation strategies, coping styles and…adopting helpful self-nourishing daily habits.” Such steps towards wellness might include yoga at work, regular exercise, portfolio reflections, and mindfulness training. As beneficial as these activities might be, “faux self-care” is misleadingly presented as a “panacea” to medical professionals. The reality is that there is a working limit which everyone “will always feel ashamed for reaching … because that is what our medical culture prescribes.” That limit is not a weakness. The problem with resilience or faux self-care is that it puts the burden of change on the individual, and exonerates the system. You can make as many to do lists as you want, have the best meal delivery service in the city, and eventually, you will reach your limit. And, you will always feel ashamed for reaching your limit, because that is what our medical culture prescribes. You will feel like it’s your fault, and you should do more, but in fact, when you have boundaries, it’s possible to see that you’re running a race that has no finish line. So, why does medicine keep selling us this panacea of resilience and self-care? I think because it puts the burden on us as the hyper-achieving physicians. And, we have certainly shown that we are capable of doing everything, plus much more than is asked of us. Doctors do not need to be more resilient. In fact, doctors have been too resilient, and that’s part of what got us into this situation. I have not seen a lot of research on MBSR per se for job stress, burnout, but there is abundant work done on mindfulness programs for physicians, including at UMass, and Ron Epstein’s’ Mindful Practice® at U Rochester.